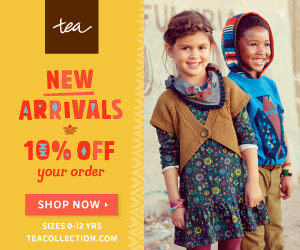 We are excited to announce that Tea is offering free 2-day shipping on orders $75+! All you need to do to receive free shipping by 4/5 on your TeaCollection order is enter code CELEBRATE and select 2-day shipping at checkout. Now is the perfect time to get a colorful Tea outfit to celebrate Easter!